As I write this, members of Team Ronin (Joseph Carriker, Donna Prior, and I) are finishing up the weekend in San Jose, CA, at GaymerX (or GX3). 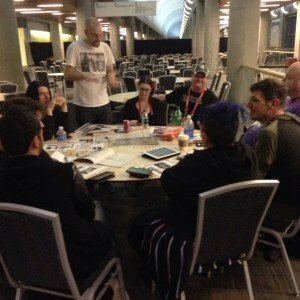 It’s our first time at the insurgent game convention, initially funded on Kickstarter to provide a dedicated space for LGBTQ gamers to do what we do: get together, geek out, and play games. It has since expanded to encompass this year’s theme, “Everyone Games,” welcoming all gamers to the table. It has been a terrific con. I ran two games for the tabletop program: In “Shadows of the Singer and the Star,” for Blue Rose, a small group of Aldin envoys of the Sovereign’s Finest investigated the disappearance of two young men from a town and uncovers a far greater threat. In “Whatever Happened to Stonewall?” for Icons Superpowered Roleplaying, a team of randomly generated heroes (Lineage, Heavyweight, Insectoid, Insight, and Mantis) helped save the legendary lesbian hero Stonewall from the armored Invictus and protect some of New York City’s queer monuments from his destroyer robots. Both groups of players were enthusiastic and really threw themselves into the games. It was my second time running Blue Rose using the Adventure Game Engine rules system at a convention, and it underlined just how well the system will work in the forthcoming edition. There were also games of Titansgrave and A Song of Ice and Fire Roleplaying on-offer from Donna and Joe, along with a room of Pathfinder and Dungeons & Dragons tables. 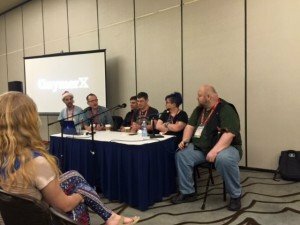 GaymerX offered a robust panel and seminar selection. We were able to bring the popular “Queer as a Three-Sided Die” panel we started at GenCon a few years ago to this con, where it found an enthusiastic audience. “Queer Divinities” talked about real world and fantasy mythology and theology and even got quoted in online coverage of the con. 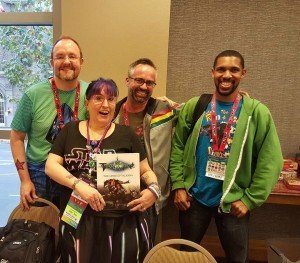 Sunday morning, Joe Carriker, Paizo’s Wes Schneider, and I ran a three-hour workshop on game-mastering skills, tips, and techniques, covering a wide range of topics, fielding questions, and sharing experiences along with our audience. The time flew by! 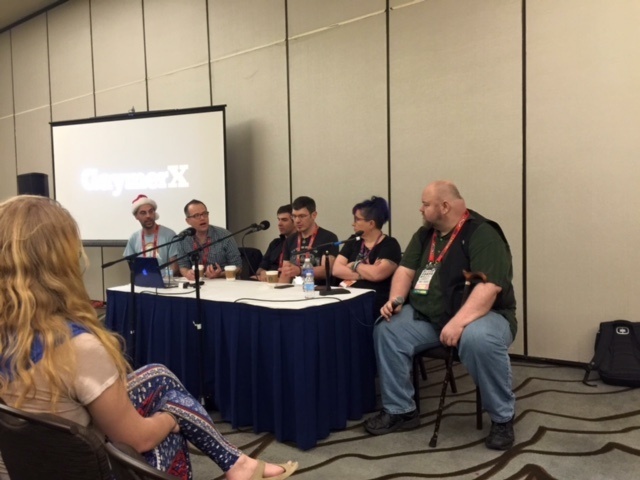 GaymerX has a YouTube channel where they plan to share recordings of many of the seminars and panels. Of course, the con wasn’t all about work. 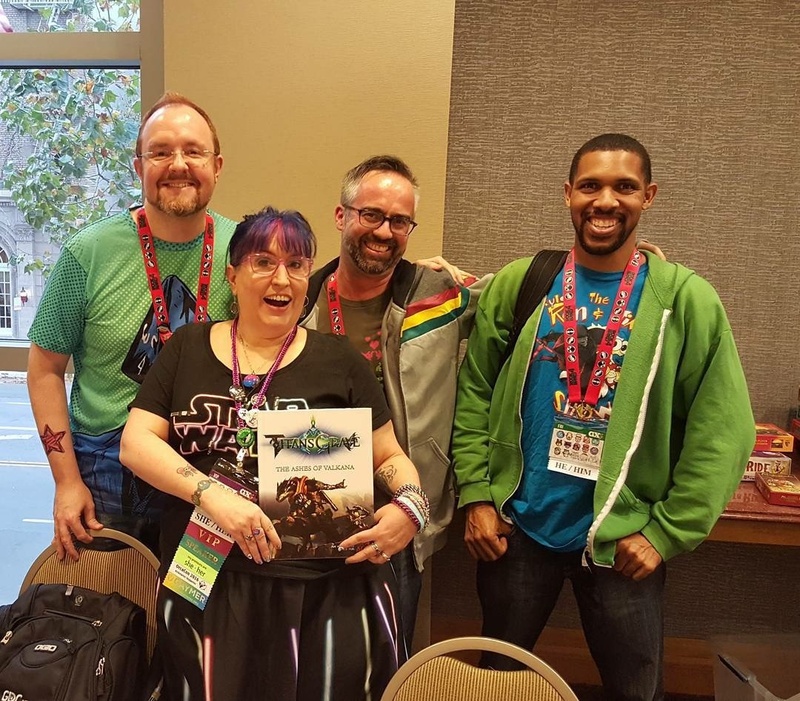 Our host, tabletop coordinator Tim Mottishaw, treated us to a game of Fantasy Flight’s Star Wars: Force & Destiny RPG and there were parties galore, from a VIP get-together to the cosplay prom and a drag show. 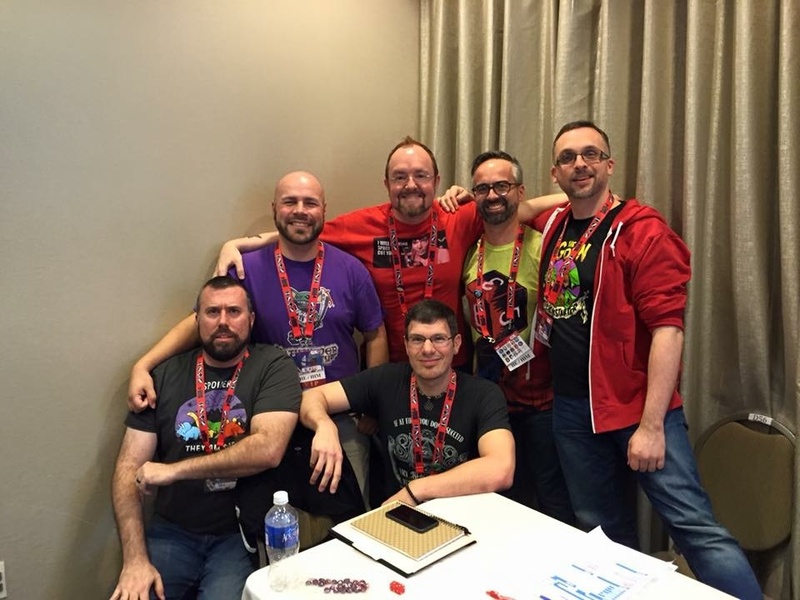 By all reports, tabletop events and offerings did well at GaymerX. I certainly hope so, as I’d like to see them continue to grow and remain part of the vibrant, inclusive, fun-loving, creative community where everyone has a place at the table. Looking forward to plans for next year’s GaymerX!